Everton have confirmed that manager Sam Allardyce has left the club. The former England boss was hired by the Goodison Park side on November 30 after Ronald Koeman was sacked following a disappointing start to the season. 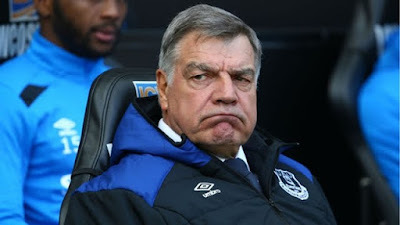 Although Allardyce successfully lifted the Toffees away from the relegation zone and up to eighth in the standings, his defensive style was criticised by fans, who booed the team regularly towards the end of the season. Everton scored only 44 goals in 38 outings in the league, the second lowest tally of all teams outside the bottom six, and with the future in mind, the club have decided to make a change. A statement from the club reads: "Everton Football Club can confirm that Sam Allardyce has left his role as manager." Director Professor Denise Barrett-Baxendale said: “On behalf of the chairman, board of directors and [owner] Mr Farhad Moshiri, I’d like to thank Sam for the job he has done at Everton over the last seven months. Sam was brought in at a challenging time last season to provide us with some stability and we are grateful to him for doing that.